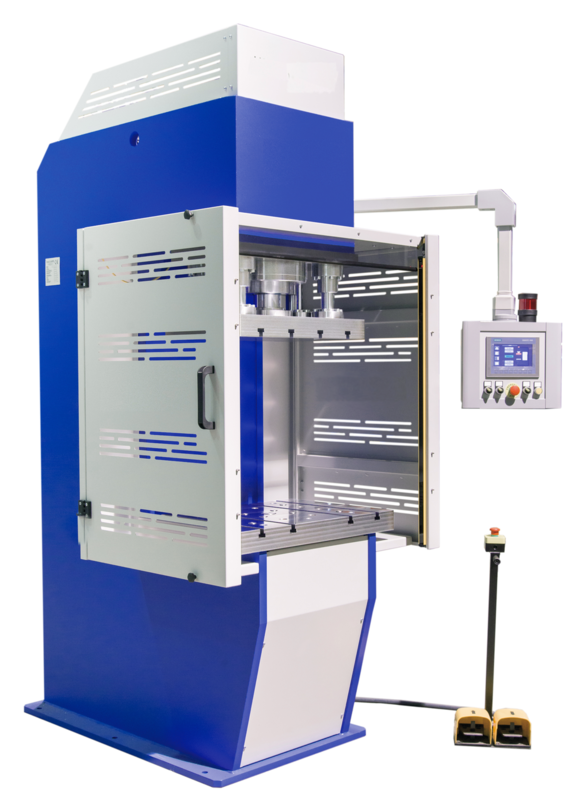 The Profi Press hydraulic C-frame presses are built with an electro welded structure made out of ST-52.3. steel and are designed for stamping, die-cutting and forming and to incorporate in automatic production lines. 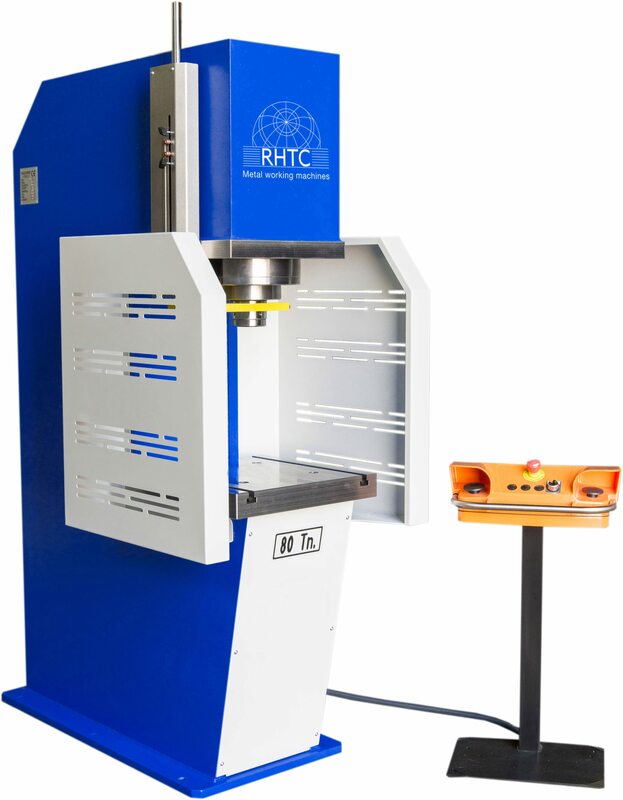 These C-frame presses are made in Europe and have a very high quality. The CD-models are equipped with solely a lower table and the CM- and CF-models are equipped with a lower and upper table, both made out of CK-42 stainless steel with T-shaped grooves. These hydraulic C-frame presses incorporate a double acting cylinder (including anti-rotation) with a chrome plunger. The cylinder stroke of these hydraulic presses is easy to adjust for precise pressing tasks. All C-frame models are provided with a two-speed motorized hydraulic unit with an automatic disconnection of the high speed and contain a pressure regulator and manometer in tons. The control panel features a selector for manual, semi-automatic or automatic operation and a selector for the two different cylinder speeds (fast approach speed and slow working speed). 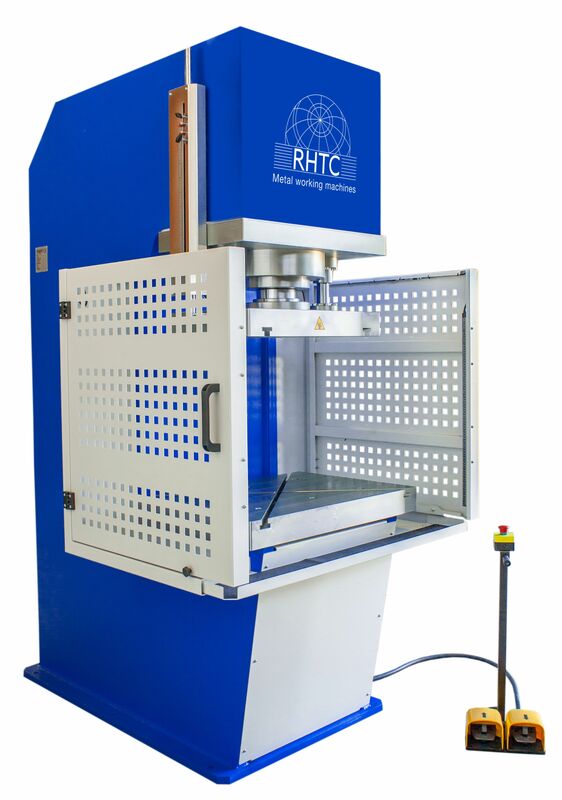 All hydraulic C-frame presses that RHTC supplies, comply with CE regulations and work with a hydraulic pressure lower than 320 bar to guarantee a greater durability of the presses. We can guarantee a high quality of these machines and therefore, these Profi Press hydraulic C-frame presses have a warranty of 2 years. The standard C-frame models are available in different strengths, ranging from 25 TN to 150 TN, but we can built them according to special requirements or with several options such as a hydraulic ejector or NC-control.